What you see is often defined by what you expect, what questions you start with, what you choose to notice and what you think irrelevant. 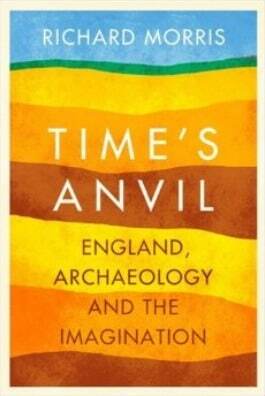 Thus we can track archaeology by its questions and assumptions, which as years pass have shifted time and time again as widely held ‘truths’ proved completely wrong. This is a lovely little history of some of these dismantlings, a bit rambling from personal experience to excavations to poetry to agriculture to planning and battles and more. Quite enjoyable, and much for thought here — as you can unpack this kind of history for any field of inquiry. There is quite a bit on the rise of archaeology itself, and how that shaped what early archeologists were looking for, the questions they asked, and what they were able to see. He argues that Darwin returned man to nature, made humans –and their history and development — subject to scientific examination rather than sat above it. Interesting that archaeology grew as a discipline alongside history and conservation — which means British/American archaeology shared much of the same understanding of land and nature. People like William Wordsworth and Ralph Waldo Emerson running around delineating land worked by humans and ‘pure’ and ‘pristine’ nature. Stepping outside of accepted theory we see a little more. For example, I liked the use of ‘the Old Ones’ to describe the mix of our ancient ancestors, the ones from the muddy bits of our family tree, the ones who may or may not have been homo sapiens or part of that line. 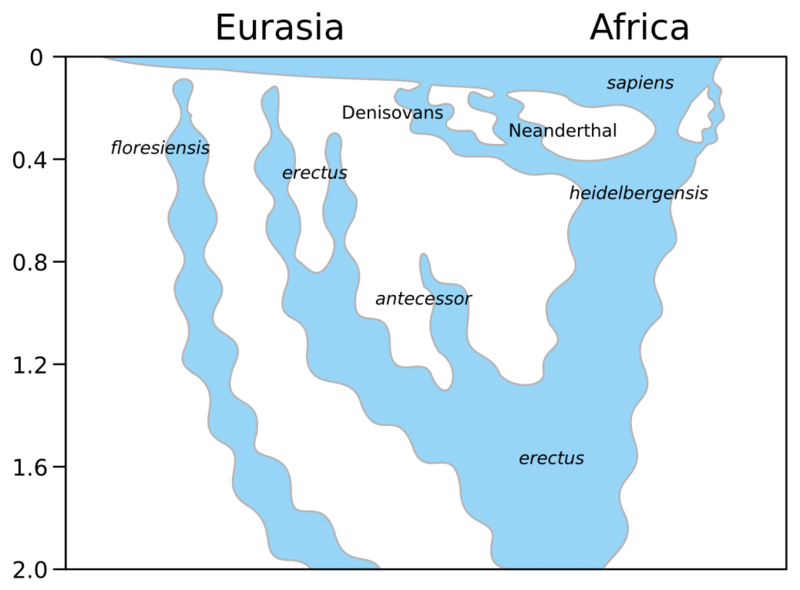 Stringer graph-model of the evolution of several species of genus Homo over the last 2 million years (vertical axis). I also like imagining them as different, rather than as inferior versions of ourselves. How people relate to their environment is also up for rethinking. I read some of Childe doing my masters — those beloved archeology classes I took as part of the Latin American Studies degree I never finished, this makes me want to go back to him. There is a wonderful chapter on the rise of aerial photography — a whole new view of landscape and identification of sites and how they fit into their surroundings. Trasnformational, For example, until then archeologists and historians believed settlement concentrated in a belt across England, and that places like the fenlands lay all but deserted. 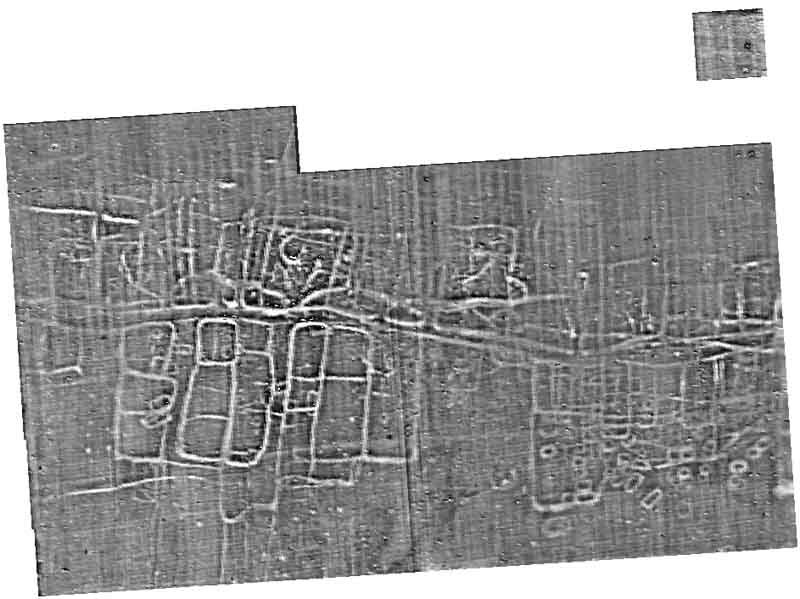 Aerial photography showed marks of old fields, proved this completely wrong. I love too that they found that different crops show archeological features very well or not all through changes in lushness of growth, that frost dissipates differently, that mushrooms can grow differently — Gilbert White had noted this in his journals. A nice tie-in. Aerial photos and excavations revealed so much that we didn’t know — like causewayed enclosures or cursus that we still don’t understand the meaning of, like Knap Hill in Wiltshire. Part of this is the long occupation of sites over time, and things like the widespread Anglo-Saxon cemeteries associated with earlier mounds and monuments like Wigber Low or New House Farm. On to Dominic Powlesland, who found this incredible ‘filament of farms, a linear agricultural commune one building wide and tens of miles long’ (212) in the Vale of Pickering. Amazing. This was a moment where I felt everything change — nucleated village settlements aren’t some kind of innate, natural form we create. These long strips could run for up to ten miles, a line of buildings facing each other across a road. They remind me immensely of Paolo Soleri’s Arterial Arcology, which is sitting in a box now for the most part unread. His surveys and excavations also showed residence, craft and industry in different zones — ah, zoning. My urban planner heart goes pitter pat. Interesting. But archaeologists found Anglo Saxon graves in the old Roman basilica, and they also used Roman building blocks and Roman slabs for gravestones within remains of Roman buildings. They painted them as well! I don’t know what that last detail is so interesting, but so it is. For all this is true, there is a definite change with the rise of imperialism and colonisation. This is almost a throw away line, but reiterated again and again by writers like Walter Rodney, Stuart Hall, Cedric Robinson and others — hardly a coincidence that they all write critically from the spaces conquered through Empire. I am not an archaeologist, so unable to comment how this book fits in with work happening in the field under discussion, but there is so much here for geographers. The points above were what I found most useful in understanding more of what the study of archaeology and landscape can teach us about how humans grow and change with their environment — both in challenging paradigms of thought and methodology, as well as many of my own assumptions gleaned from reading about the past. There is a lot more that could be said about how race, class, gender and etc impact our vision and structure our theory, I missed more of that here, but it does do quite a lot.